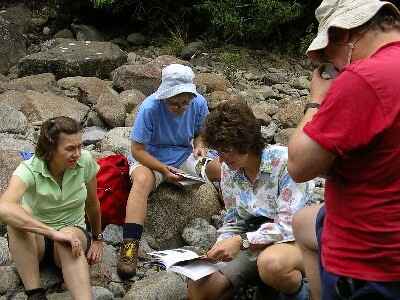 Some of the party checking reference material in the boulder-filled bed of the river. Osmylid larvae are aggressive! 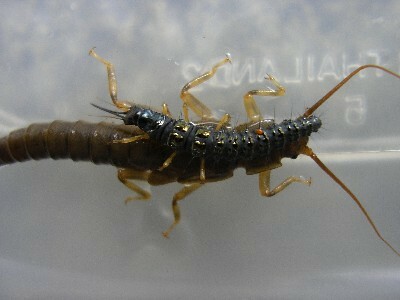 This one attacked every other animal it could, including the much larger stonefly nymph it climbed onto. But the osmylid doesn't have it all its own way - note the parasitic red mite on its back. Osmylid larvae turn into lacewings. 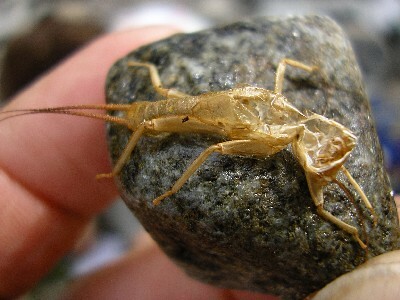 A stonefly's cast-off skin after moulting. 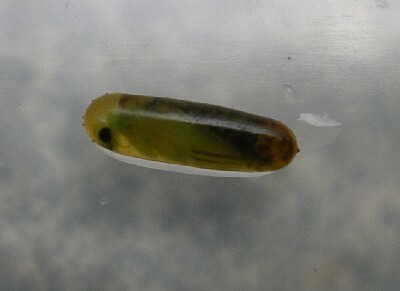 A hydrobiosid caddis fly pupa. Cleobora mellyi found on the boulders in the river bed. 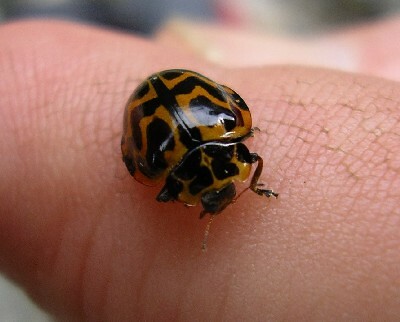 These common ladybirds feed on eggs and larvae of leaf beetles.